An “ICO," is known to be initial coin offering, which happens when startup raises funds for its new cryptocurrency by selling tokens of its digital coin in exchange for legal tender or other cryptocurrencies, Mainly bitcoin. ICOs are good but I think they is much failure in the regulations in place which makes ICOs risky. stated" that 902 cryptocurrency ICOs was formed in 2017, 142 failed before raising any funds, and 276 failed after fundraising. Those figures combined work out to a 46 percent failure rate, despite raising over $104 million. 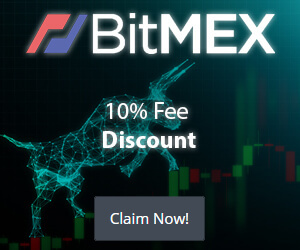 Furthermore, a startup company introduced a plan Before the born of ICO, the plan of the business was explained on a white paper which includes , The purpose of the project, the amount of funds needed to accomplish the project, distribution of funds raised, will they allow fiat money or crypto money and the duration of ICO. Encouragers of the startup company can purchase coins with fiat money or digital currency during the Initial Coin Offering. As the case maybe if the ICO failed to reach the minimum funds required by the company, the ICO will be considered unsuccessful and the funds will be refunded to buyers or supporters. The Intention of buyers, Is the believe that the ICOs project will be a success after it is finalized and that the value of the coin that was bought will increase. The Ethereum smart contracts platform is a good example of a profitable ICOs,Ethereum ICOs raised $18million in bitcoins or $0.40 per Ether ( Ethereum's coin ) After launching the project in the year 2015, the value of Ether moved to $14. Earlier On, an analyst with Goldman Sachs predicted that most cryptocurrencies will fall to a zero valuation. "Whether any of today’s cryptocurrencies will survive over the long run seems unlikely to me, although parts of them may evolve and survive," Goldman Sachs analyst Steve Strongin said. "Because of the lack of intrinsic value, the currencies that don’t survive will most likely trade to zero." According to Strongin, not even being one of the first affords any advantage. He points out that very few companies from the internet bubble of the late 1990s went on to become more valuable. Couple of years ago ICOs was very successful while some were unsuccessful and Scam. Turn and Burn: A group of individuals come up with a pseudo company or no company as well, scrape together a white paper then move straight into a token sale lunch with some basic idea. The problem here is that they may have less knowledge to pull it off, don't need blockchain to build their product, or have no intention of delivering a live product. Riding the Wave: A strong company engaged in a token sale built upon a popular blockchain with the full intention of switching to another blockchain after the token sale. This allows them to ride the wave of popularity around the distribution of a specific token (higher token sale result) while knowing full well that it will never go into production use. Young & Dumb: While this group does have a chance at succeeding, they have rushed into a token sale to chase the money. They have placed thought into their idea and their white paper, but it’s based on hopes and dreams with nothing built out. There is full intention of bringing a product to market, but conceptualizing it into reality is beyond their current motives. The Realist: This group has the best chance of succeeding. They have either started to build or have built out their blockchain-based application, they are organized, and have a full plan on how to take their product to market. According to the analysis conducted by Bitcoin Market Journal, the number of ICOs that have avoided providing such information is high. They evaluated more than 600 token sales and concluded that only 394 completed, or in another words reached their end date. According to the managing Partner at the blockchain asset hedge fund Neutral Capital, Christopher keshian who stated that “As an investor, I assume that when an ICO chooses not to report their token sale, they were not able to hit their raise". The fact that people working on ICO didn't report funding figures, we can't assume that they have failed. Many of the ICOs will always fail for the reason of not understanding the use of blockchain and how it works, so if you don't know the reason why your application is using blockchain and how to choose the framework that will suite your task, probably you will fail many times. 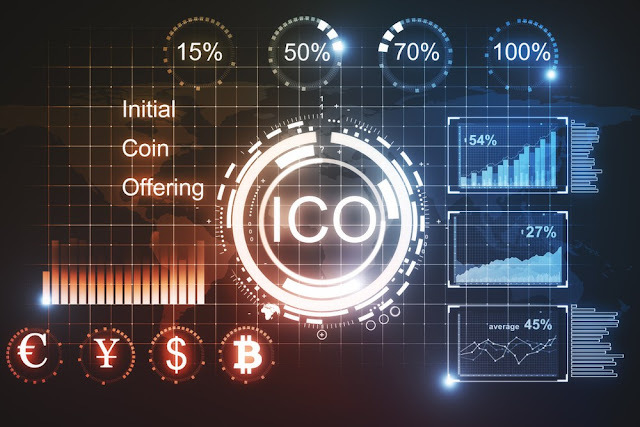 ICOs go through no regulatory obligation to report funding figures or on the economic health of the industry or project, which results making the analytics regarding ICOs hard to figure out. Lack of Know-How: Some teams don't have Know How to enable a profitable report or to know that they have to announce a report at all. Others may have concentrated their efforts on producing the ICO documents without considering the division of labor needed for the wrap-up. The most confusing part about this issue of reporting on raised funds is that it could cause more major issues to remain hidden. According to the latest researches, it is expected that more than 90% of all ICOs will be unsuccessful. There could be many reasons behind the failure of ICOs, such as project technology is hard to reach, management issues, no clear direction of the project. But in order to reach better transparency, it is not enough to have a white paper published on the web site or post regular social media statements on Twiter or Facebook, startup companies need to issue regular profit reports as well as quarterly statements. ICOs will still grow while some ICOs will actually fall all you have to do is decide which ICO you are going to invest on, always be careful and do your own research and takes some guides too.